Scheels Sporting Goods relocated into the former Target space in 2006. Scheels was first located at Arrowhead Plaza, and moved into Kirkwood Mall in 1984. The Bismarck location was the first store in the chain solely dedicated to sporting goods. 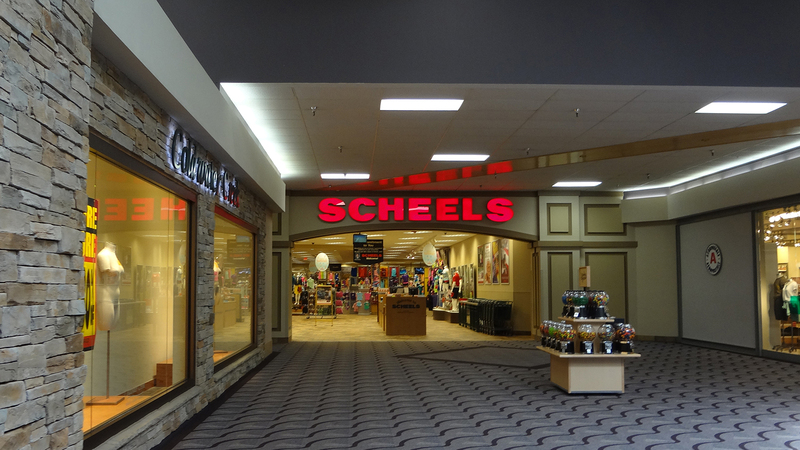 Over the years, Scheels expanded into additional spaces within the mall, including the former McDonald’s location in 2003. Scheels relocated into the former Target space in 2007, but maintains its bicycle department out of the former McDonalds space, adjacent to their main location.